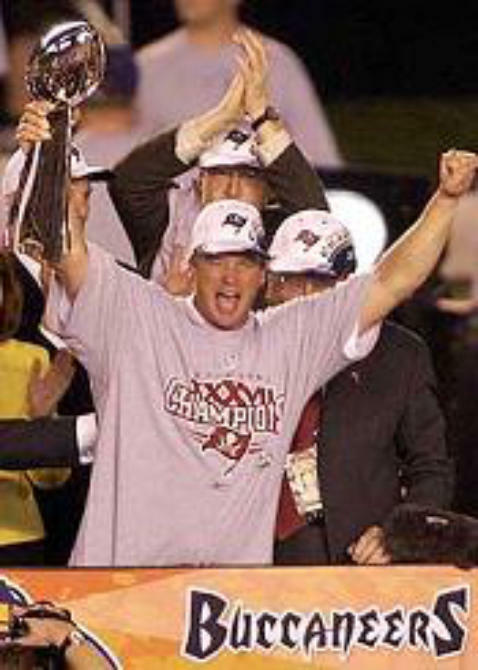 SUPER BOWL XXXVII Tampa Bay Buccaneers 48 Oakland Raiders 21 And then on one magical night in San Diego, the Buccaneers became World Champions. All those years of being the joke of the NFL, the losing streak, the wilderness years, the near-misses and the title game heartbreaks. They all were forgotten as Jon Gruden’s team put together an all-round display of offense and defense to hammer the Oakland Raiders. 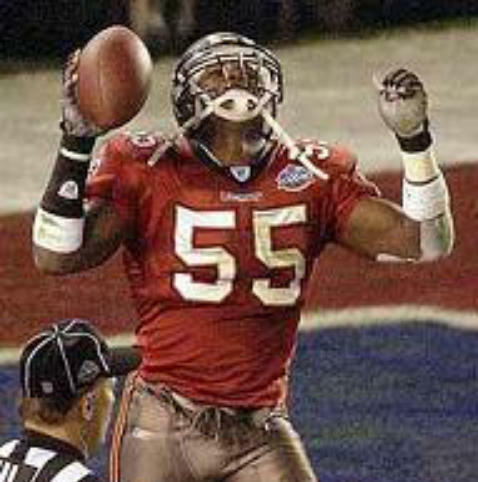 Dexter Jackson was named the MVP but it could have been so many different players, Brad Johnson, Michael Pittman, Simeon Rice, Derrick Brooks or Dwight Smith. The defense recorded five interceptions, three of which were returned for touchdowns and had Rich Gannon under pressure for the entire game.